Fill up on Fruits that Aid in Digestion | Gastrointestinal Specialists, Inc.
Pears: One small pear contains 3 grams of fiber which help push food easily through your gastrointestinal tract. Apples: The skin of an apple is a great source of fiber to help with digestion. In addition, applesauce provides the same amount of fiber as well. Papayas: These tropical fruits have an enzyme called papain that breaks down protein and makes papayas easy to digest. This protein helps the fruit move easily through your gastrointestinal tract. Bananas: Bananas are a great source of potassium and also contain pectin, which is known to decrease and heal stomach ulcers. Avocados: Technically a fruit, avocados contain healthy fats that keep your digestive system moving smoothly and lubricated. Raspberries: One cup of raspberries contains 8 grams of fiber, almost your entire daily serving of fiber needed! These super fruits are great for your digestive system. 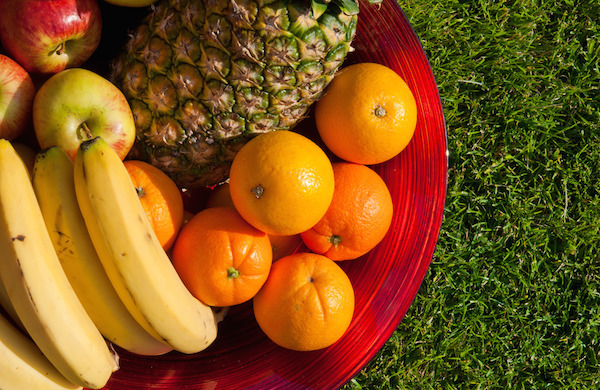 The best time to eat fruit is on an empty stomach. This is one of the best ways for your body to absorb all of the nutrients the fruit has to offer. If you eat fruit in conjunction with heavier meals, such as a big lunch or dinner, it will be held in your stomach longer and your body will not be able to process the nutrients it needs to help your digestive system, which can often cause indigestion and heartburn. A great way to get your fruits in is to eat them between meals. An apple or some slices of peaches along with a bowl of cereal is a great way to start the day, along with some pineapple and a banana when you start to get hungry before lunch. Don’t forget to eat them as a dessert! A yummy fruit salad is a great way to end a long day. If you can’t find time during the day to add fruit to your diet, another great way to add them is with a smoothie! Recipes are everywhere if you look for them, or you can get creative and add your favorite fruits, ice and some milk in a blender. The possibilities are endless! Although the recommended serving is 2 1/2 to 2 cups of fruit is the daily recommended serving, there are those out there who choose to follow a fruitarian diet plan. Although this diet may not be suited for everyone, there are benefits in the amount of nutrients, fiber, and hydration one can receive from this lifestyle. Try out fruit consumption in different amounts and stick to a plan that’s right for you body and gastrointestinal health!